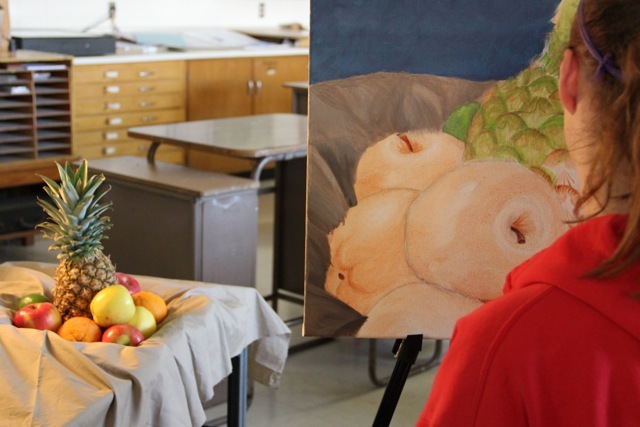 The Drawing/Painting II students have been studying different compositions based on a fruit still life. 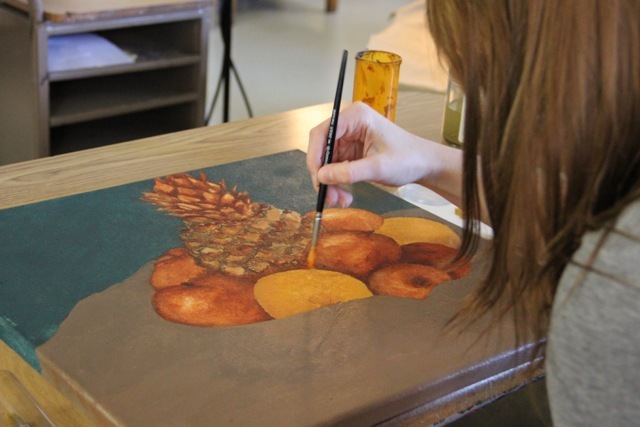 Each student had to decide on a composition in which his/her painting will be based upon. Using a spotlight, they can utilize the direct light to portray the highlights, midtones and shadows created. The images provided are of painting in progress. I am Kristi, the artist of this optical illusion. 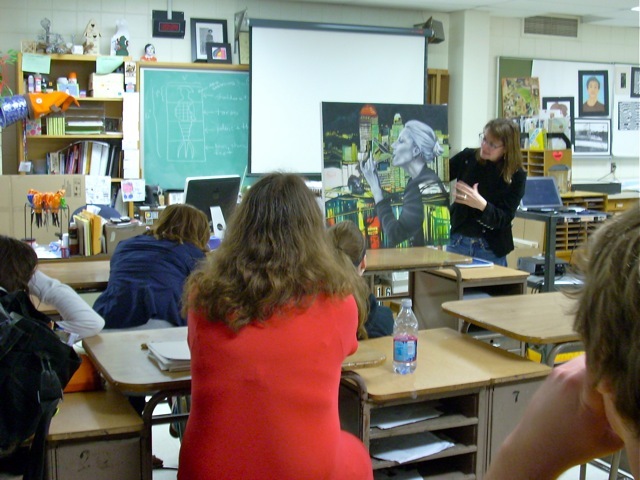 This piece was done in 2011, my sophomore year at Sheboygan North High school. I have been taking art all my life and it has become on of my many passions. This piece was an art project and is now a mural. This piece was inspired by doodling. my ideas never fully spark until I have the paper in front of me and I just draw. I sit and draw lots of different ideas and they are never fully developed until the last minute. I began with 9 squares and drew different patterns and designs in each given square. The patterns consisted of line and shapes like squares, rectangles and circles. The large circles in the painting are giving the window affect. Looking into the painting it will seem like you are looking out a window through the circles and squares. This was a class project where I began to sketch it out into my sketchbook and my teacher suggested on making a larger scale of this piece. I used a large compass and a ruler to draw it out; it was colored in with black sharpies. This large scaled optical illusion has now become a piece of art on the wall of the North High basement outside of room 025. This painting is in progress.